KEAM 2018 Application Form can be filled online only. 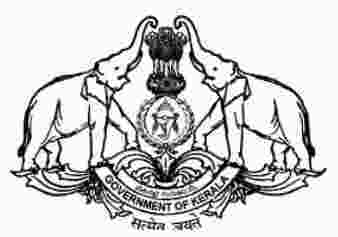 CEE Kerala invites application for KEAM for admission to engineering courses in Kerala. Earlier KEAM used to be a common entrance test for the admission into engineering and medical colleges. However, according to the decision of the honorable supreme court NEET has become only Entrance Exam for admission into any private and government medical colleges in India. From 2018 onwards, the government of Kerala invites admission to Medical courses, Agriculture, Fisheries, Veterinary on the basis of NEET Scores and admission in Architecture course on the basis of NATA scores. Although, KEAM exam will be held admission in the engineering/BPharm courses only. Latest Update: KEAM 2018 Application process has started for the KEAM Entrance Test, Scroll down to get the application link. The step by step guidance to fill the KEAM 2018 Application Form is given below. Candidates are suggested to go through the whole step as it will help them while filling the application form. STEP 1: Registration: The KEAM 2018 Registration has started, and candidates are required to provide their name, a valid email id, date of birth, mobile phone number and a password of your choice in a window containing minimum eight characters. After that, they will receive a system generated Application Number. After confirmation, provide the same email id & password, enter the secret code and click on ‘ “Candidate Login” on the HOME page. 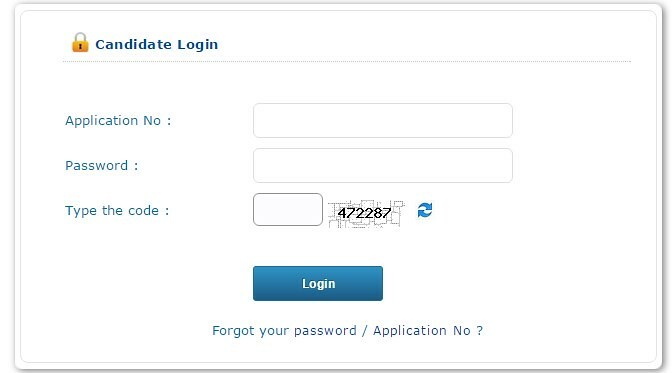 Candidates can login to their application profile as many times as they wish, using the same login details. STEP 2: Candidate Login: Candidate login is very much essential for filling up the KEAM 2018 Application Form, Payment of Application Fee, for printing Application Form, Change of Password, Download Proforma and to check the Application Status. KEAM application number is necessary for all future communications with KEAM office till the candidate admission to the programme. Write down the Application number and remember the password. STEP 3: Upload Photo: Uploading Photograph: Candidates are required to upload a scanned and digital copy of photograph, Signature and Thumb Impression. The details of the images are given below in the table. After uploading the documents successfully the applicants will have to accept the declarations and press the "Upload Images" to upload all the images, Applicants should also note that the uploaded images cannot be changed after filling the application form. Therefore it is advised to upload images wisely. STEP 4: Fill the Application Form: Applicants have to fill now the required information like Communication Address, Courses they are applying for, Academic Details, Reservation related dates, Income Certificate of the candidate's guardians, etc. in the specified columns. Applicants must enter each and every detail in their application form very carefully as any mistake in their application form may lead to the termination of the admissions. 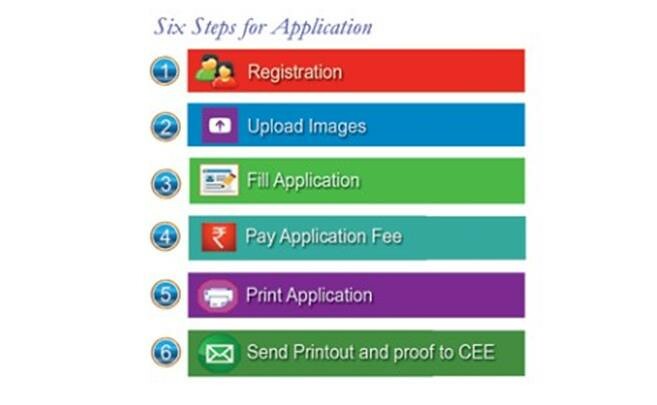 STEP 5: Payment of Application Fees: The candidates have to pay the application fee after the successful filling of the application form, Only Online payment of the application fee is invited by the candidates, The further details of the payment is given below this page. Photograph: Candidates are required to affix a passport size (3.5 x 4.5 cm) photograph (this should be the copy of the uploaded photo), get it attested by a Gazetted Officer or the Head of the Institution where the candidate has last studied. Signature: The applicant and the parent are required to sign in the specified areas on the printout of the Application. Course Certificate and Nativity Certificate: Get Course Certificate and Nativity Certificate in the prescribed format available in the body of the printout of the application. Reservation: If the candidate claims any reservation, they have to attach relevant certificates issued by the concerned authorities. STEP 7: Submission of Application Form: Candidates have to enclose the KEAM 2018 Application Form and all supporting documents in the envelope and send it to the Commissioner for Entrance Examination (CEE), address before the due date. Candidates can pay the application Fees via two modes either through Online payment or by E-Challan, The candidates can pay the required application fee using their Credit Card, Debit Card, Net Banking and E-Challan. Online Payment: If applicants are paying the application fee via online modes need to take the printout of the confirmation page of the payment, To verify the payment status the Payment Tab will turn green and now you can proceed forward. E-Challan Payment: If paying the application fee via E Challan applicants need to take the printout of the E-Challan, The applicants have to carry the Printed the e-Challan, and it should be handed over to the bank/post office along with the cash. The e-Challan must be collected back from the bank/post office official. It must be ensured that the official has recorded the Transaction ID about the payment on the candidate’s copy of the e-Challan and put the official stamp and his/her initials at the designated places on the counterfoil. An amount of Rs. 25/- has to be paid as service charge in addition to the Application Fee. If the payment is successful the Payment tab will turn green in that case. The following given documents are to be enclosed with the application form in the similar order; Applicants are required to send the envelope containing the application form and supporting documents to the address given above in the Submission Step of Application Form. Original Community/Non-Creamy Layer Certificate, if communal reservation is claimed. Original Income Certificate, if the desire to be considered for fee concession / EC status. Proof of Special Reservation, if claimed. Candidates are advised to keep at least two printouts of the application form with them for future reference. The candidates are also required to verify each and every detail of the section while filling the application form. In the case of any query regarding KEAM 2018 Application Form, you can write in the comments section below.